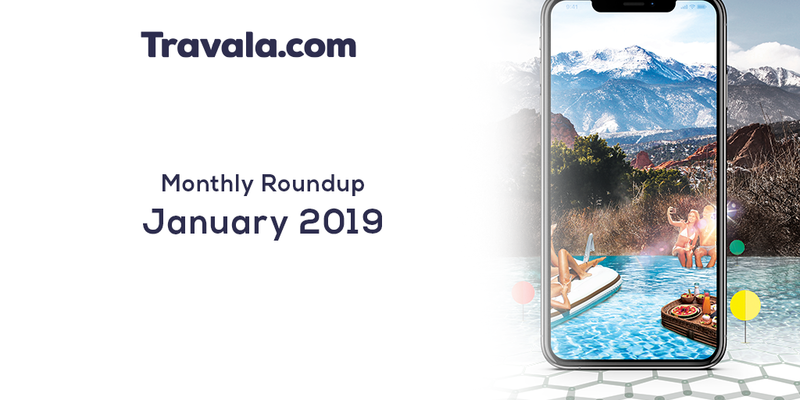 We have started the first month of 2019 with important partnerships and platform developments. Below is the sum up of what has been done in January 2019. 1. In January we saw a total of 73 bookings which represents an increase of 265% from December – 2018. Total room nights booked during January were 136 which is a 148% increase compared to December. Top destinations booked were USA, Italy, Thailand, Spain, UAE, Greece, Belgium, Malaysia, Australia, Denmark, Netherlands, Singapore, Sweden and the Philippines. Platform figures for the previous 3 months. 2. 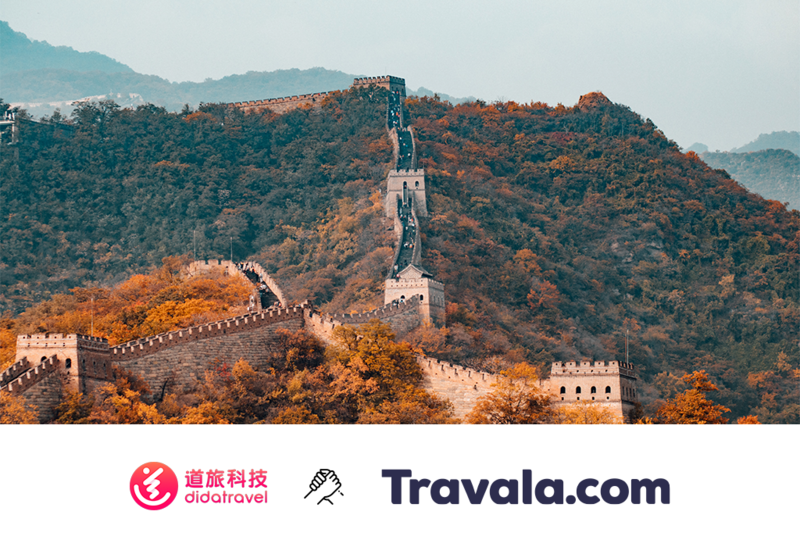 Partnership with leading China based supplier – Dida Travel to strengthen our presence in the worlds most populated country. 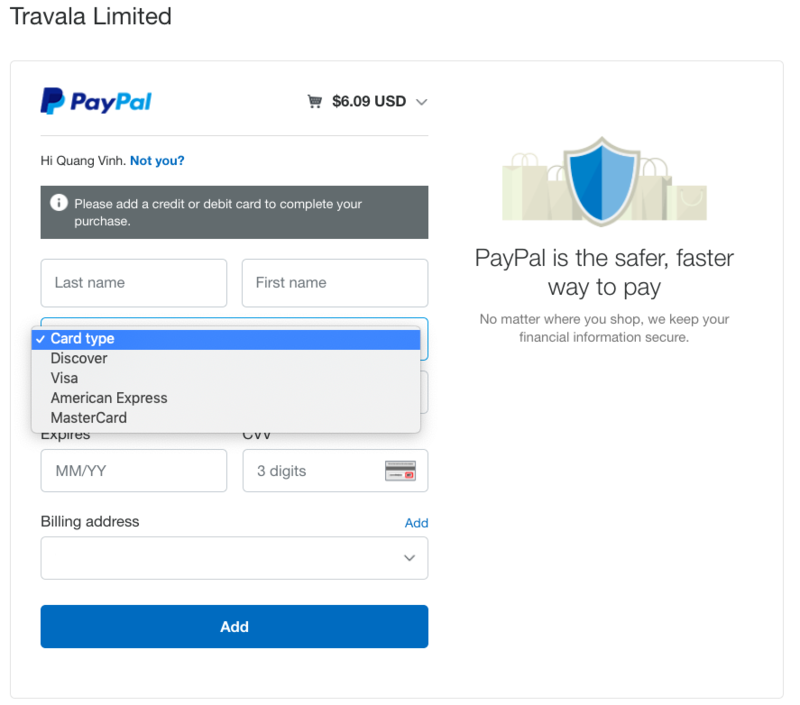 See details of the partnership HERE . 3. 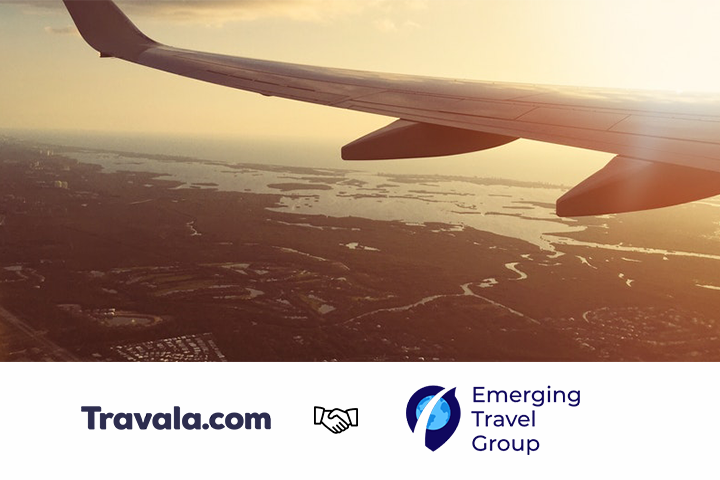 Partnership with a world leader in online travel and related services – Emerging Travel Group. See details of the partnership HERE. 4. 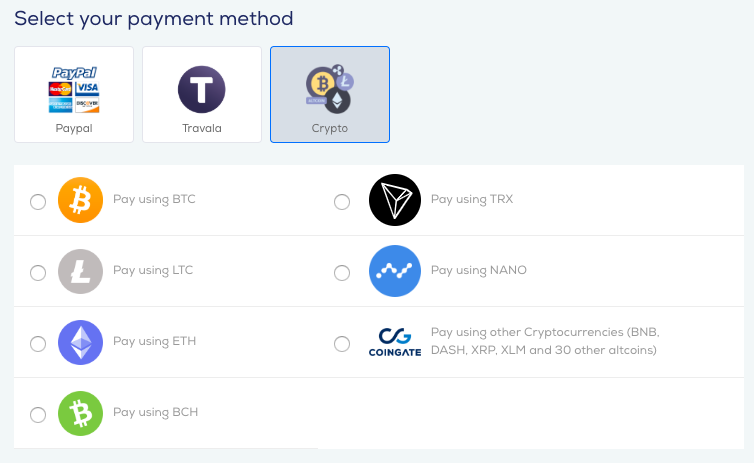 We released the platform update on the 10th January with the integration of the Travala wallet which is used for booking payments using AVA and the giveback and referral programs in the near future. Google 2 Factor Authentication was also added for enhanced user security. 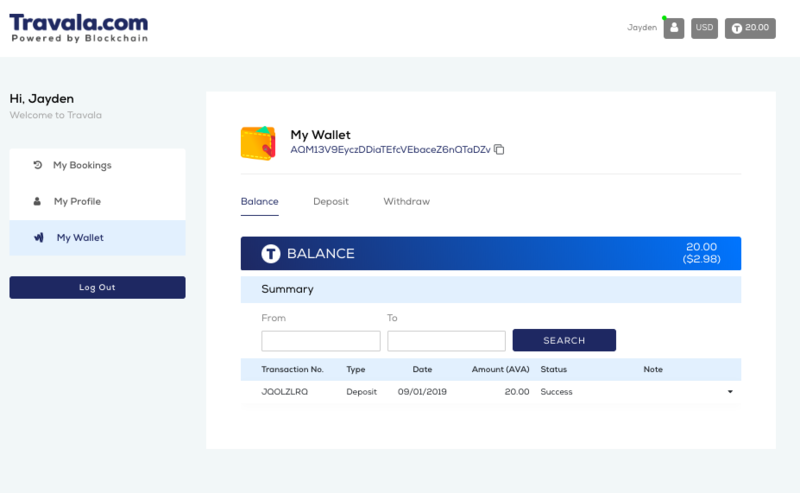 We have written an article explaining how the wallet works HERE . 5. Preparation for series A investment and crowdfunding campaign for the community to accelerate the growth of the business. 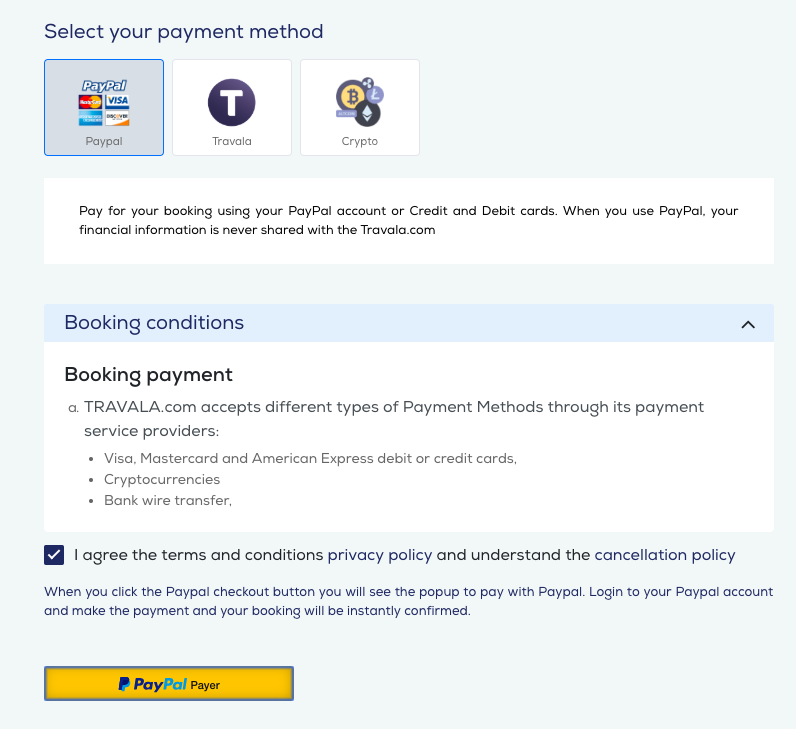 – Pay for the bookings using your PayPal account. 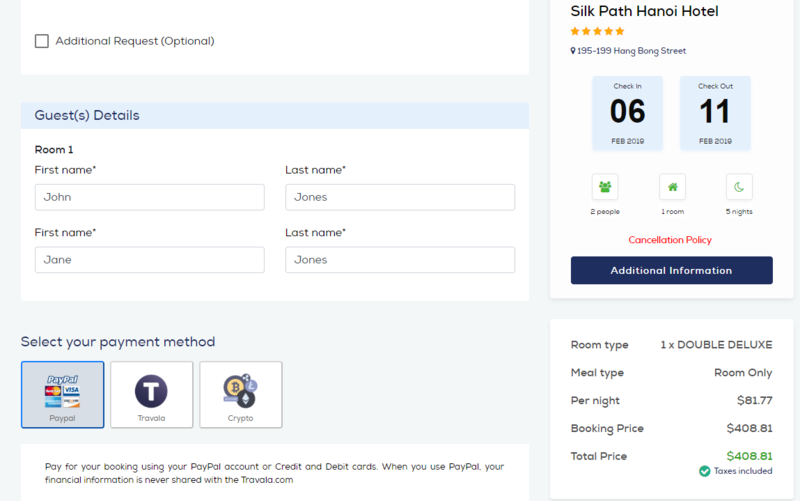 – We have also developed our built in crypto payment gateway – 6 coins supported starting with BTC, LTC, ETH, BCH, TRX, NANO for a better booking experience and check-out process. 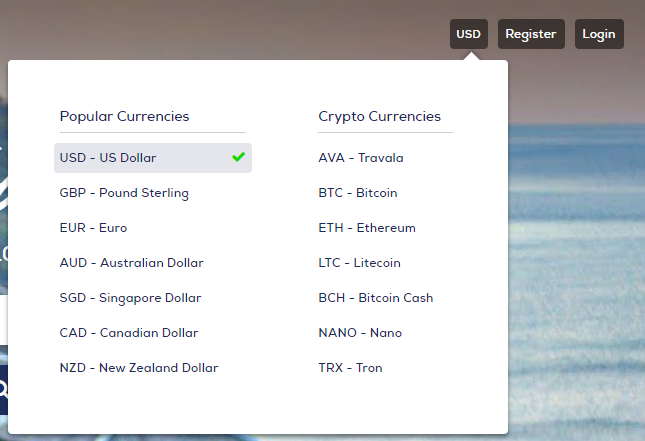 – Currency selector of 7 traditional currencies and 7 cryptocurrencies. 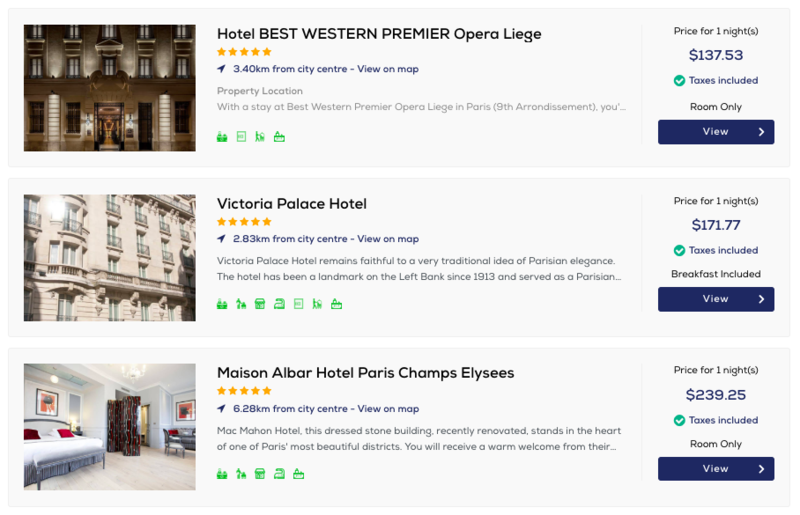 – UI/UX update with an addition of “Taxes Included” in Search page, Property page and check-out page which means the price you see is exactly what you pay, no hidden fees or tax. 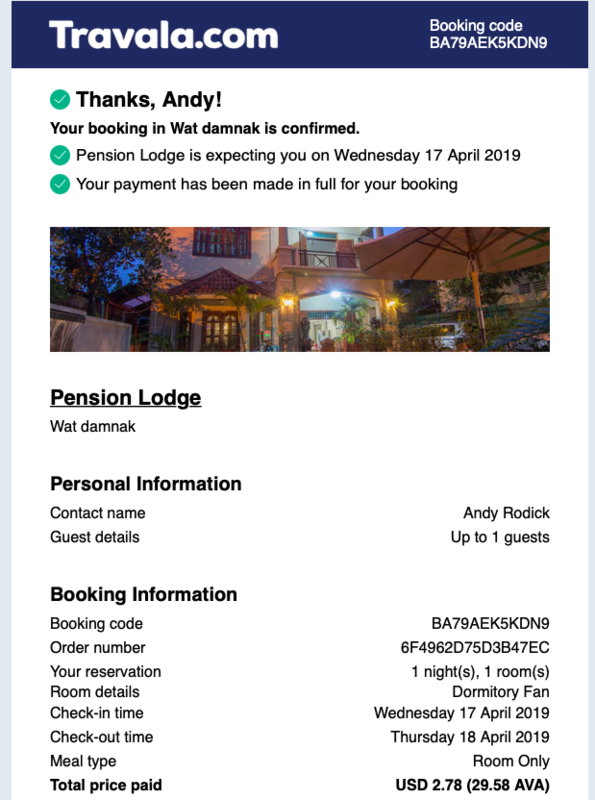 – Updated the booking confirmation email template with more useful information to make it easier for check-in steps at the property.